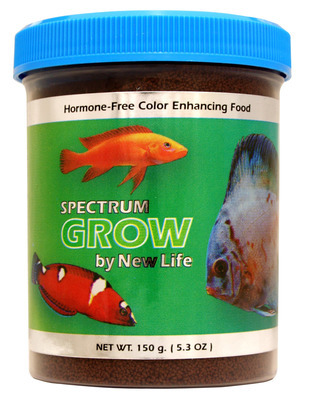 Spectrum Grow By New Life. High in Krill and Fish meal protein and "n-3 PUFA" Polyunsaturated Fatty Acid). Balanced Daily diet for all fish. Boost immune system to repel parasites.